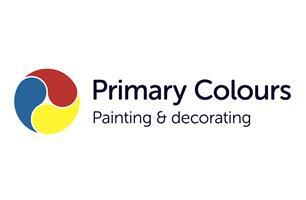 Primary Colours Painting & Decorating - Painter/Decorator based in Bradford, West Yorkshire. Welcome to the Primary Colours Painting & Decorating page. I'm Vince Walder, a sole trader with over 30 years experience, for the last 14 years running my own successful business, covering West Yorkshire and beyond. I take great pride giving a first class service and providing the highest quality possible, from one room to a full house. I use the latest dustless sanding equipment to eliminate 95% of dust at source, to ensure a clean work environment. I always try to cause as little disruption as possible when working on occupied domestic properties. I always recommend the best paints and materials to use on any job, to ensure a long lasting finish. Everything from class 1 scrubbable matt emulsions, to the latest water based paints for woodwork. Not only are these more environmentally friendly, but are lower in odour, quicker drying and will not yellow of fade within months. I am also a trained and certified Repair Care contractor, authorised to carry out timber resin repairs. Bradford, Leeds, Idle, Calverley, Pudsey, Rawdon, Guiseley, Yeadon, Otley, Ilkley, Shipley, Saltaire, Bingley, Adel, Alwoodley, Rodley.